Date: 1st January of every year. Activities: Celebrate Silvester, as New Year is known in Germany, at Berlin's most famous landmark. Each year the Bradenburg Gate attracts thousands of people from across Germany and much further afield to see in the New Year. There is live music throughout the evening to entertain the crowd and at midnight there is a spectacular firework display that lights up the Berlin sky whilst revelers crack open bottles of champagne and celebrate. Activities: The Oktoberfest is a sixteen-day festival held each year in Munich, Bavaria, Germany during late September (and running to early October). 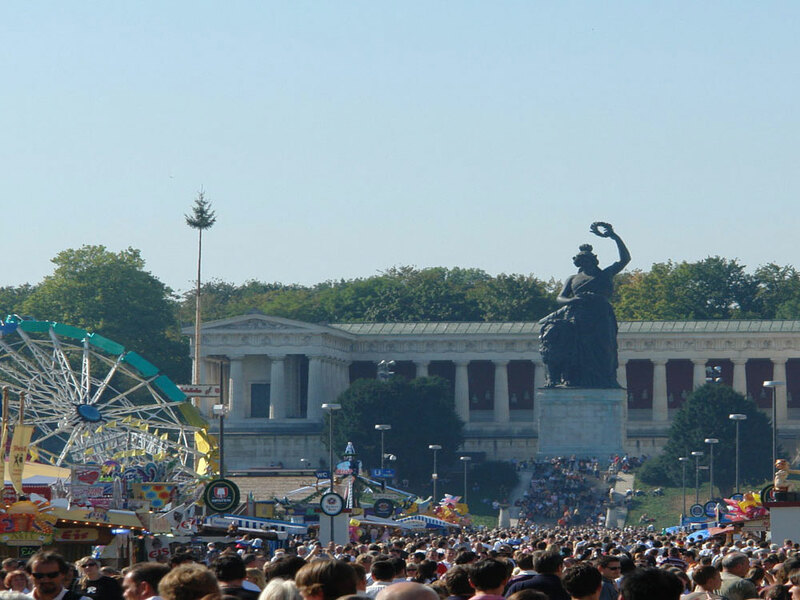 It is one of the most famous events in the city and the world's largest fair, with some six million people attending every year, and is an important part of Bavarian culture. Other cities across the world also hold Oktoberfest celebrations, modeled after the Munich event. Oktoberfestbiers are the beers that have been served at the event in Munich since 1818, and are supplied by 6 breweries known as the Big Six: Spaten, Löwenbräu, Augustiner, Hofbräu, Paulaner and Hacker-Pschorr.Traditionally Oktoberfestbiers were the lagers of around 5.5 to 6% abv called Märzen - brewed in March and allowed to ferment slowly during the summer months.Originally these would have been dark lagers, but from 1872 a strong March brewed version of an amber-red Vienna lager made by Josef Sedlmayr became the favourite Oktoberfestbier.